The Marx Memorial Library on Clerkenwell Green was packed for the launch of Dave Rosenberg's new book 'Rebel Footprints'. Alex Gordon reminded us that the room we were meeting in once housed the printing press from which came many left-wing publications. And that reminded Charlie Pottins of how a ladies' tailor from Lithuania came to be linked with the building, when Lenin was working there. It was just part of OSIP PIATNITSKY'S adventurous life. A lfe which ended tragically, but should not be forgotten.. He was born on January 1882, in Wilkomir, a small town in the Pale of Settlement. His father and two elder brothers were carpenters, but young Osip Aaronovich Tarshis was apprenticed in a tailor's shop to learn ladies' dressmaking. At 14, he listened to the workers talking about socialists who had been deported back to their home town. More exciting, when his brothers came home at the end of the year, young Osip found out they were involved. 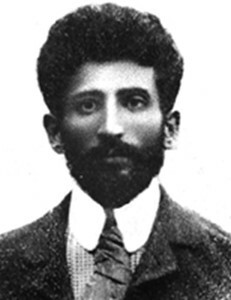 By the end of 1897 Osip had a job in Kovno, where he lodged with his brothers. He sat in on the carpenters' illicit meetings, held in members' homes, and liable to be raided by the police at any time. Soon Osip had a new job, besides his paid work in the tailoring shop. He was to carry political literature between Kovno and Vilna. This illegal traffic was to become his speciality. Meantime, trade unionism was growing. The garment workers went on strike for a reduction of hours - to a 12-hour day. But the employers had got young Osip's measure, and he was blacklisted in the Kovno area. 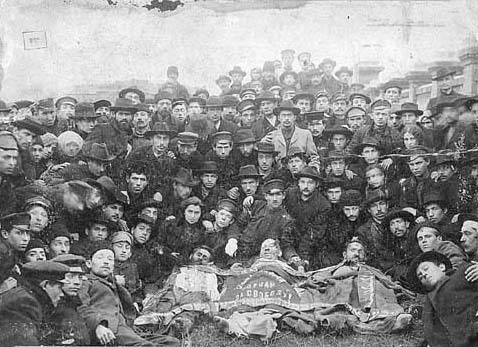 Leaving for Vilna, at the end of 1898, he entrusted the Rabochnaya Znaya (Workers Banner) printing press, which he had looked after, to a trusted comrade, a member of the Jewish Worker's Bund. A few years later when Osip returned to Kovno on a mission for Iskra (The Spark) the Bund asked his help in organising workers at a firm that shipped timber to Germany on the River Nieman. The day he left for Vilna, Osip glimpsed the wider world of struggle. Weeping parents were at the station seeing off soldiers, sent to crush the Boxer Rebellion in China. Why should we fight the Chinese people, with whom we have no quarrel, Osip mused, when the same army is used to suppress us here? Even the Czar's army had its uses, however. In Vilna, where Osip was recruited to the Iskra group, he discovered it had an Iskra Military Organisation, headed by an army doctor, which sent revolutionary literature through the army's own mail to contacts across the Czar's sprawling empire. There were unions in several trades in Vilna, but none recruited workers regardless of nationality, according to Osip, nor did they have a central body. However the Bund brought workers together for May Day and other events, often held out in the woods. Osip and friends went to a celebration of Gutenberg, the inventor of the printing press. The girls stayed in a one-room cabin, while the lads slept out on the porch. Next morning they found someone had stolen their clothes and shoes. They had to signal frantically to passers-by, who scoured the neighbourhood for cast-offs, so they could get home. It wasn't always funny. A friend from Osip's home town, not a party member, Solomon Rogut, caught carrying illegal literature, was beaten unconscious and left for dead. The Bund in Wilkomir produced a pamphlet about Rogut. But Osip felt responsible for having involved his friend. Workers found rough and ready ways to deal with scabs and informers, and battle the authorities. They had set up unofficial 'labour exchanges' where they could drop in, drink tea, hear news of any work, and discuss affairs of state. Hearing that three women had been arrested for distributing leaflets, workers from Osip's 'exchange' stormed the police station. After cutting its telephone wires, they fought sabre-wielding police to reach the top floor and free the women held there. Many of these workers were injured or arrested later, but all were proud of what they had done. 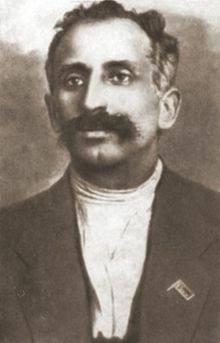 Osip himself was taken off a Kovno train and questioned by police in March 1902. They knew about his links with the Iskra group. He was held in Vilna for a week, then sent to Kiev. There was student unrest there, and the jail filled up with students. Moved to the political wing, Osip was able to do some reading, and had tutors. He acknowledges that a compositor, Joseph Blumenfeld, with whom he later had differences, helped him. He also mentions Nicolai Bauman, a Bolshevik whose murder by Black Hundreds in Moscow aroused huge anger there in 1905. Future Soviet Foreign Minister Maxim Litvinov was with Osip in the Kiev prisoners' escape committee. They practised human pyramids to the height of the wall, and celebrated birthdays to get the guards accustomed to drinking with them. They smuggled in sleeping powders for the guards and, through Osip's contacts, they obtained false passports and papers for themselves. They assembled a grapple and ladder, and tied sheets into a rope. Getting over the wall one August night, Osip went from town to town posing as a student. At Zhitomir he was sheltered in the Bund's secret committee room. For a time he returned to his old trade, taking digs with a fellow worker. But the authorities were after him, and someone from the prison saw him at the market. A friend had his papers. They met in the woods and, accompanied by two Bundist women, went to Kamenets Podolsk. From there, wading across rivers, they crossed into Austria at night. Then it was on to Berlin, where Osip began the next stage of his career. He was impressed by the German unions, the party bookstores and printing presses. In Berlin he acqired a new name. Perhaps it was the day he arrived. The lady of the house, not wanting visitors to know who was staying, called him Mikhail Davidovich Freitag. The Russian for Friday is Piatnitsa. Somehow it stuck, so comrade Tarshis became better known in the movement as Osip Aaronovich Piatnitsky. Piatnitsky also came to London, where the Social Democratic Labour Party of Russia was to reconvene its Second Congress. He stayed with Martov, Vera Zasulich and others, and had meals with Lenin and Krupskaya. The winter fogs and grime of the city depressed him. He was surprised to meet people from the old country who had turned from socialism to 'individualist anarchism'. Osip put this down to their exile from home and exclusion from British society and its labour movement. 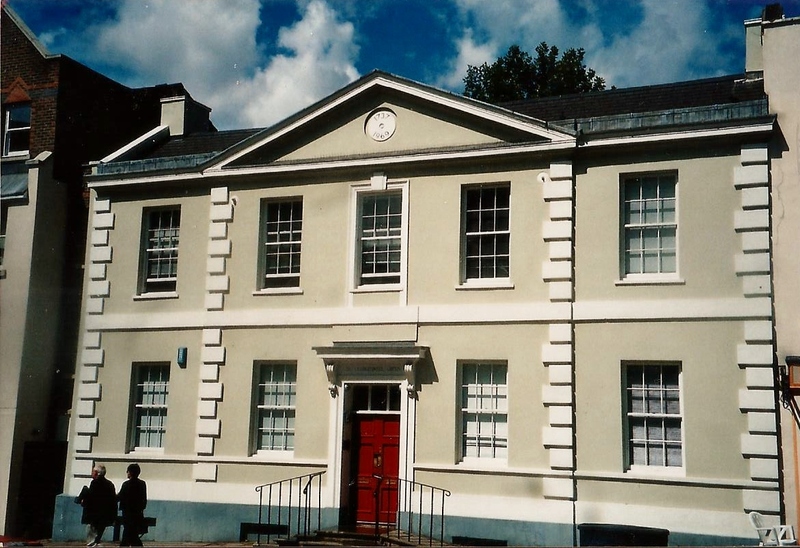 Iskra (the Spark) was being printed on the presses of the Social Democratic Federation in Clerkenwell. It was Piatnitsky's job to find ways of despatching the paper back to those waiting back home. 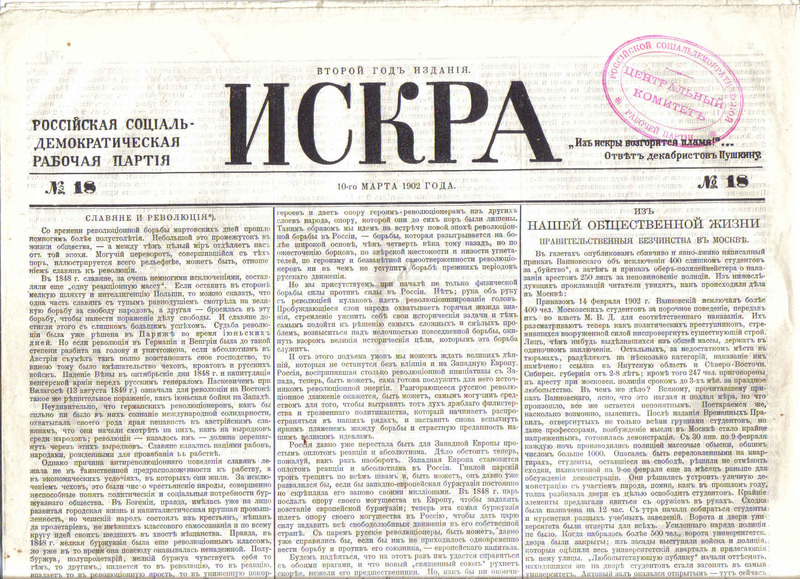 The Bund's network delivered the first issues of Lenin's Iskra into Russia (later in 1905 the Bolsheviks in St. Petersburg were surprised to receive a consignment of Bund publications. A German worker dispatching the parcels had just assumed the more the merrier, and sent whatever he had). ISKRA. Ingenious means found to smuggle literature. In Tilsit, Piatnitsky found a group of Lithuanians sending large quantities of religious literature home; this was banned by the Czarist regime because it was in the Lithuanian language. Religious dissenters and Marxists were able to collaborate in adversity, so Marxist pamphlets were smuggled in the same crates as devotional works. The 1903 congress saw the Bund's delegates walk out when its status was not recognised as 'representative of the Jewish proletariat'. It ended with the split between the 'Bolshevik' and Menshevik' factions over what constituted party membership. Lenin lost control of Iskra. Piatnitsky was bewildered when the older theoretician Plekhanov turned against Lenin, and was upset to part with comrades he had admired; but he chose to go with the Bolsheviks. 1905. BUNDISTS in Odessa with bodies of comrades killed in action. In 1905 theoretical debate was jostled aside by real revolution. Arriving in Odessa that summer, Piatnitsky found party organisation was built from the top, on the principle of co-option. There were committees of Bolsheviks, Mensheviks, the Bund, the Socialist-Revolutionaries and the Dashnaks (an Armenian party), each working separately. But at the end of August someone began moves for a joint meeting. "I think it was the Bund ... organisationally they stood closer to the Mensheviks, but on many tactical questions of the period the Odessa Bund sided with us." Not content with having massacred demonstrators on the Odessa steps, the Czarist regime wanted its revenge for the strikes, the Potemkin battleship mutiny, and the revolutionary ferment in Odessa. In October, along with the Czar's manifesto promising reform and national unity, came armed gangs harassing people in Odessa, and an organised pogrom against the Jews. There was a meeting in the university to organise resistance and defence. 'Besides us, the Mensheviks, the Bund group and the Socialist-Revolutionaries (SRs), resentatives of the Dashnaks, the Poale Zion and Serpovists attended the meetings of the committee' (Serpovists were members of the Chaim Zhitlovsky's Jewish Socialist Labour Party, and close to the SRs). Piatnitsky was worried that not enough non-Jewish workers showed up. The Black Hundred pogromists, officers leading peasants, lumpen and criminals alongside plain-clothes police, were backed by Cossacks and well-armed troops. The workers' defence squads were heavily outgunned. On 19th October a detachment of railway workers routed a right-wing gang in the Dalmitsy district, but had to retreat, with heavy losses, when the army intervened. In some places people broke into gun shops for weapons to defend themselves. The battleship Potemkin and its revolutionary sailors had left Odessa, but a detachment of naval cadets fought bravely against the reactionaries, Piatnitsky records. Still, after three days - the usual time alotted for pogroms by the Czarist authorities -some 800 Jews had been killed in Odessa, hundreds were injured or raped, and thousands were burned out of their homes. The strikes resumed on a bigger scale in December. Under pressure from the rank and file for unity, an Odessa soviet was formed with elected delegates, like that in St Petersburg. The executive met in tearooms run by the Bund and other organisations, but had to keep on the move. In January 1906, Piatnitsky and others were arrested. Released after a hunger strike, but still depressed over the pogrom, and feeling that the movement in Odessa was ebbing, he accepted a call from Moscow to come and help the party press. On his way, he made a diversion to his home town to visit family and friends. Wilkomir, awakened by the great events elsewhere, was not yet touched by the tide of repression. There were public meetings in the park. The Bund had a children's section - the Little Bund. There was a branch of the Social Democratic Labour Party with Russian, Lithuanian, Polish and Jewish members. In Moscow, the workers still seemed to be in fighting mood. The party was working with students and producing a paper for soldiers. At holiday times, Moscow workers returning to their villages took political literature for the peasants. Piatnitsky organised printing, obtained paper and arranged distribution. But when police raided the printing works and people's flats he realised they had full details of who they were looking for, including his real name, which he had almost forgotten himself. Leaving Moscow to shake off spies before going abroad, Osip returned to Wilkomir in May 1908. His home town was now an occupied country. Mounted police were dragging in Lithuanian peasants for interrogation. Even the Bund was lying low. He had been home 10 days when he was arrested. His mother arrived and he feared she would blurt out his name, but she kept quiet as he was taken away. HIKING companion. 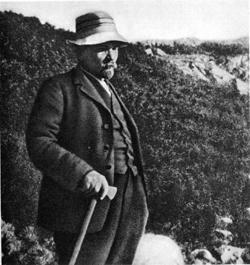 Lenin in the Tatras. Lenin and Krupskaya. Lenin's widow protested Kremlin frame up of Piatnitsky, but could not save him. Abroad again, Piatnitsky went to Liepzig, where the German Social Democrats' presses printed the Russians' literature. Once again it was his job to organise the smuggling. In 1912 he helped organise the Bolsheviks' conference in Prague. 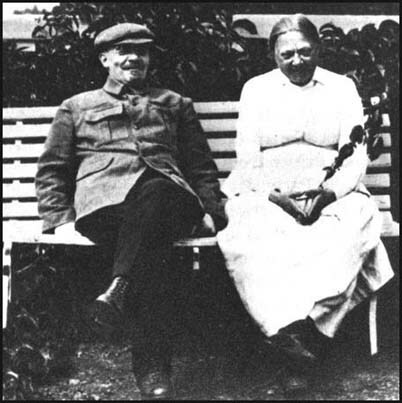 Lenin and Krupskaya visited him in Liepzig. The following summer he was invited to stay with them near Zakopane, and went hiking with Lenin in the Tatra mountains. The friends had their disagreements. Lenin ribbed Piatnitsky over his respect for the German Social Democrats, Piatnitsky warned Lenin not to trust Malinowski (who was later proven to be a police agent). In 1914, having trained as an electrical engineer, Piatnitsky returned to Russia and took a job with the Siemens company in Moscow. They sent him to work in Samara, on a tramway project. The socialists there, Menshevik and Bolshevik, had a recreational society as a cover for political lectures. But once again the authorities were on Piatnitsky's trail, armed with a photograph which he guessed an informer called Zhitomirsky had supplied. Osip was arrested and sent to a fortress prison, and then away to a remote valley in Siberia. He was out in the wilds on March 1917 when he heard that Czar Nicholas II had been overthrown. Somehow he reached Moscow, reported for party duty, and found work with the railway union. A few years after the revolution, party members were asked to write up their stories. Piatnitsky's account was published in 1925 and translated into German and French before it was published in English by Martin Lawrence as Memoirs of a Bolshevik, and in the United States bv International Publishers (1933). With its tales of true adventure, and the author's frankness and humour, Memoirs of a Bolshevik is also an enjoyable read. Yet for three quarters of a century it has been kept out of print. The Bund crops up repeatedly in the book, and not just in Osip's native Lithuania where it was particularly strong. Another thing that strikes the reader is how, despite differences and polemics, factions could work together against the autocratic regime, whether planning prison breaks, smuggling papers, or fighting off attacks. On the eve of the First World War, Piatnitsky found that Zhitomirsky, whom he suspected was a police agent, had been investigated by a three-person committee, comprising one Bolshevik, one Menshevik and one Bundist. Such procedure might sound like common sense, but those of us who have experienced the 57 varieties of the British Left will know that sense is rarely common, and co-operation less so. What is remarkable about Piatnitsky's book is its timing and its provenance. In the late 1920s, along with brutal forced collectivisation in the Soviet Union, came a period when revolutionary willpower could supposedly conquer everything -environmental, economic, or political. Soviet railway engineers who warned of limits on how much freight their system could carry were condemned as saboteurs. The 1929 crash was seen as the final crisis of capitalism. Failure to carry out revolution was the result of bad leadership. Any element of truth in this was distorted by Stalin, to imply not theoretical critique, but denunciations of left-wing opponents, even potential allies, as the worst-possible enemy. 'Fascism is the military organisation of the bourgeoisie, which leans upon Social Democracy...,' proclaimed Stalin, but 'Social Democracy, objectively speaking is the moderate wing of Fascism!' If anyone thought this crude, over the top, or even contradictory, they knew better than to risk voicing their doubts and being branded a 'Trotskyist'. Social democrats and the unions they still led were dubbed 'social fascist', and left-wingers like the British Independent Labour Party (ILP), were 'left social fascists', a more insidious variety. In Britain, the Communist Party had been growing since the 1926 General Strike and Ramsay Macdonald's abandonment of Labour. It had limited success with breakaway 'red' unions, and repelled valuable friends by its attack on the Left. In Poland, Communist Party members attacked the Bund and its institutions, as 'social fascist', thereby antagonising the very workers with whom they needed to unite in the fight against fascism. In Germany, the Communist Party was bigger. Its hostility to the Social Democrats, seen as betraying the November 1918 revolution, was understandable. But in the face of Hitler's rise to power, it was suicidal. The Depression made workers who were still in the factories cling tightly to their jobs and their Social Democratic unions, while the Communists were outside competing with the Nazis for support from the unemployed. At elections in May 1928 the Social Democrats gained 29% of the vote and the Communist Party 10.6%. The Nazis that year had a mere 2.6%. Two years and a slump later, the Social Democrat vote in September 1930 was down to 24.5%, while the Communists got 13.1%. But the Nazi vote had risen alarmingly to 18.3%. Had the two workers' parties combined their strengths, they could have gained wider support and blocked the Nazis on the streets as well as in the polling booths. The gap between them became the gateway through which Hitler marched, to destroy both. All this time Osip Piatnitsky, promoted into the secretariat of the Communist International, had loyally transmitted the line to the German party and others. As treasurer, and head of the inner OMS, with a trusted person in each party, he could see they complied. In 1928 he authored a paper snappily entitled 'The Bolshevisation of the Communist Parties of the Capitalist Countries by Eradication of the Social Democratic Tradition'. It was meant to turn them into efficient disciplined revolutionary organisations with militant workplace cells, modelled on an idealised Bolshevik Party, which Piatnitsky's memoirs show, never existed. In reality. 'Bolshevisation1 was about moulding the Comintern and its parties into tools of the Russian state. Stalin came to despise them as ineffective tools, to be disposed of when he could. Even after Hitler took power in 1933, Piatnitsky's pamphlet 'The Current Situation in Germany', assured readers that the fascists would not last, that workers were resisting, and the Communist Party growing. Had the Nazis attacked social democracy too? They just wanted to give their own supporters good jobs. Of course the Party line had been right. When workers experiencing the difference between fascism and democracy said there should he a united front, the Communist Party had offered one 'from below'. If the Social Democrat workers did not accept, that was because the leaders in whom they still had illusions held them back. Piatnitsky did admit mistakes. The party should lave made more of the national burden which workers bore. If they just repeated that Social Democrats were 'social fascists'", the Social Democrat workers felt affronted and concluded the Communist Party was not serious about unity. This came close to what Trotsky had said, but Piatnitsky would not admit that Trotsky had been right. In his Memoirs, recalling Trotsky's past opposition to Lenin, he branded him a 'Liquidator'. As Comintern treasurer he could withold funding from the Canadian CP whose leaders didn't take up the fight against 'Trotskyism'. His criticism of the German party leaders did not acknowledge that they had faithfully followed the Moscow line. All the same, Piatnitsky remained too honest to be trusted in his Comintern job. There was worse to ccme. As the Soviet leadership lurched towards 'popular front' diplomacy, with its beautifully democratic 1936 constitution, it also launched the purges and show trials in which lifelong communists 'confessed' to being in league with Hitler, the British or whoever, in plots to assassinate Stalin and destroy the Soviet Union. Piatnitsky was no oppositionist, but he refused to accept the stories of ever widening conspiracies. He knew some of the accused, and had mentioned them in his Memoirs. At a party plenum he accused the NKVD secret police of fabricating evidence and using illegal methods to obtain confessions. Lazar Kaganovich and other Politburo members surrounded him afterwards, begging him to retract, but Piatnitsky replied that he had expressed his opinion and would not withdraw it. Yezhov, the chief of the NKVD, alleged that Piatnitsky had been a provocateur in the pay of the Czarist secret police. But Piatnitsky was not arrested. He challenged Yezhov to confront him with evidence. Meanwhile the Gestapo and Russian White Guard officers abroad surreptitiously fed the Soviet authorities with material to be used against Piatnitsky. Piatnitsky underwent 220 hours of harsh interrogation but refused to confess anything, instead writing a letter to the Politburo protesting his innocence and loyalty as a communist. On 19th June 1938, Piatnitsky was accused of introuducing Trotskyist formulations' into Marxist literature - not quite putting glass in the butter -and of infiltrating Trotskyists into the Comintern. But without his confession to these dastardly crimes the authorities were frustrated in their plans to follow up their trials and purges of Bolsheviks and Red Army commanders with a Comintern trial. This did not stop them locking up many foreign militants like the Invergordon naval mutineer Len Wincott, or executing others, including British Communist Rose Cohen. But British CP leader Harry Politt, who made discreet inquiries in Moscow in 1938 about Rose Cohen's fate, may have been spared in the wake of it because Osip Piatnitsky, being tortured at the time, refused to 'confess'. Piatnitsky was finally executed on 30th October 1939. Yezhov, who had himself been purged in March that year was executed a few months later. Piatnitsky was among those officially rehabilitated following Khrushev's 'secret speech' to the 20th Congress of the Communist Party of the Soviet Union, in 1956. But Memoirs of a Bolshevik has still not been republished.